Bring the Outdoors in! 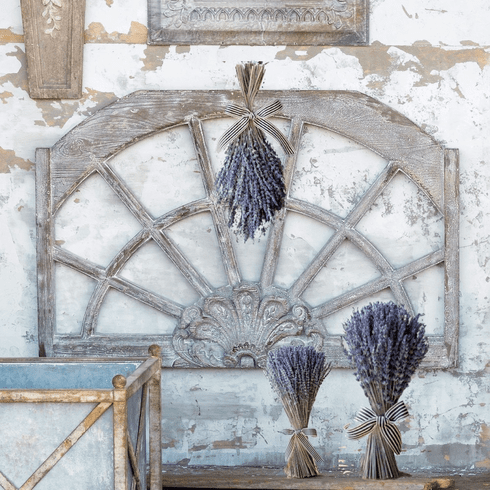 with this lovely arched window frame (46.5 x 30.5 x 4inches) on your wall, surrounded by our trio of dried lavender bouquets. Imagine the hanging lavender in stunning contrast to the shape of the window frame, completed with our large and medium bundles!